Do you like the color blue and do you like playing pool? 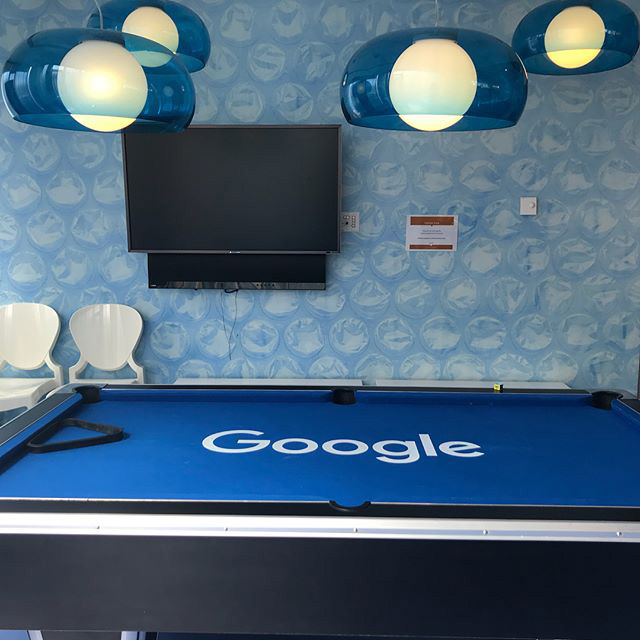 Well, then you have to visit Google Dublin and ask to play pool in this room. It is super blue, the pool table is blue and is looks calm and relaxing. This photo was posted on Instagram, amongst others from the Google Dublin office.